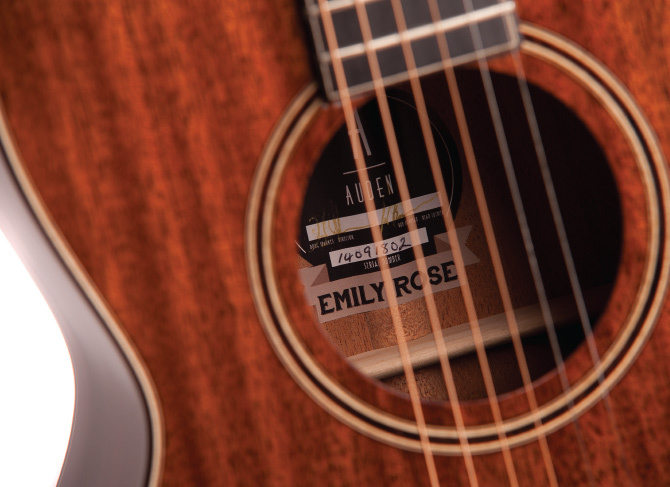 The UK’s newest manufacturer of high-spec acoustic guitars began their journey with founder Doug Sparkes reaching out to us to create a brand for his germ of an idea. 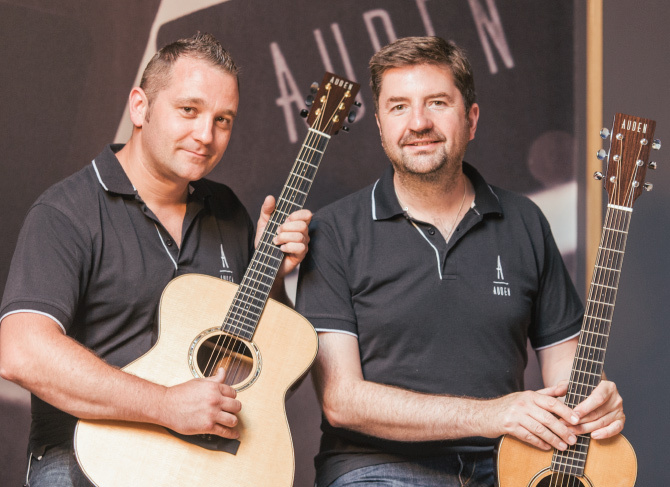 Auden Guitars was born in 2013 with Doug looking to create high end guitars for mid-range prices. 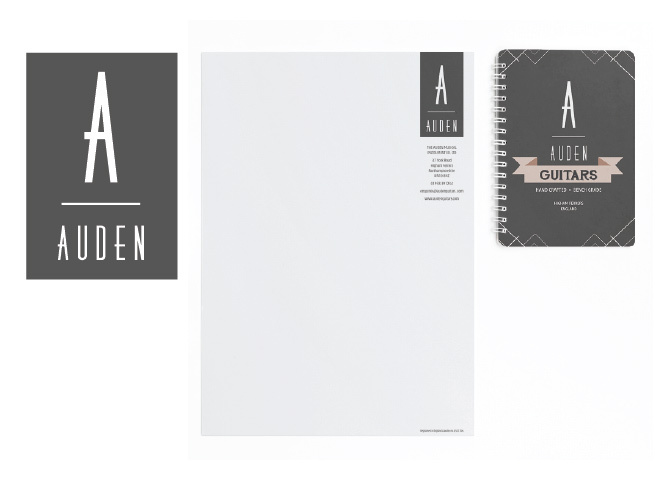 Awemous created Auden’s look to give it instant heritage and a feeling of tradition. 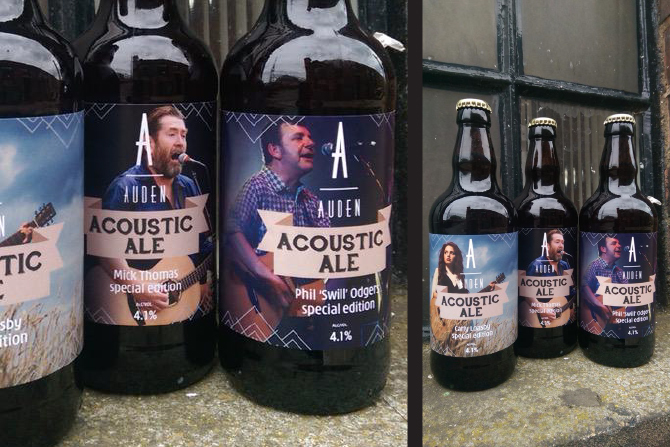 Although new in the market, Auden’s founders have years of experience in the music industry and that needed to be reflected in the design of all marketing materials – from the website to sound hole stickers and t-shirts. 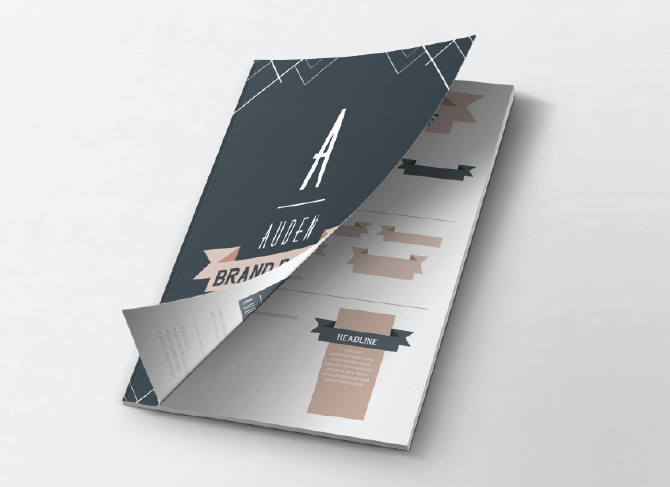 The brand also needed to be flexible enough to work across multiple platforms including print, web, social media, packaging and events, so from the initial simple stacked logo we built a brand toolkit that allows for many variations. Multiple motifs – from a ribbon device and art deco corner pieces to patterns taken from the stone work on the company’s amazing head office building – give a reconfigurable look and feel that works perfectly wherever it needs to while still feeling distinctly Auden. Muted tones of grey and beige balance the strong black and this colour scheme has been carried through to the showroom itself.